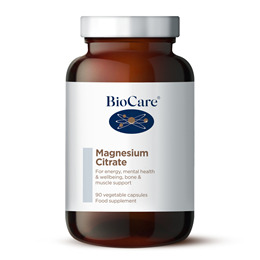 BioCare Magnesium contributes to a number of important functions including normal muscle function and maintenance of normal bones and teeth as well as contributing to normal energy metabolism. Magnesium contributes to normal energy metabolism and the reduction of tiredness and fatigue. Magnesium Citrate, Capsule shell (Hydroxypropyl Methylcellulose), Bulking Agent (Microcrystalline Cellulose), Anti-Caking Agents (Magnesium Stearate & Silicon Dioxide). Below are reviews of Magnesium Citrate - 90 Capsules by bodykind customers. If you have tried this product we'd love to hear what you think so please leave a review. Good value and high spec. Delighted. 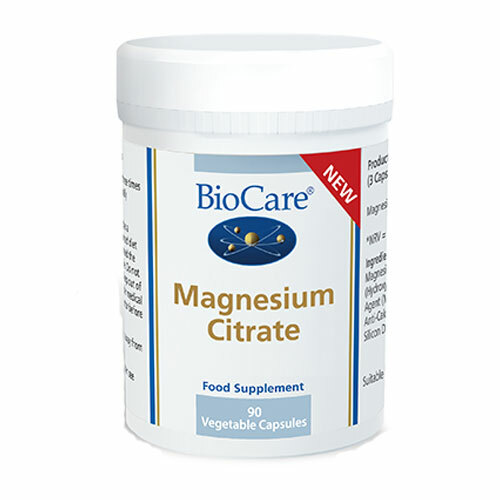 I find this magnesium citrate to be the best quality I can find for the price.